The cover shot of his debut album, Mind of Mine, has been revealed by Zayn Malik. On Wednesday night, the 23-year-old singer made his debut solo appearance on television on The Tonight Show with Jimmy Fallon as he performed It’s You, his upcoming second single. Jimmy had thrilled fans earlier in the show by revealing the album cover of the highly anticipated album. The cover is incredibly cute as it features a throwback picture of Zayn as a child with his hands placed under his chin while he smiles at the camera. This childhood photograph is juxtaposed by the fact that the current tattoos of the singer can be seen all over the hands of the toddler Zayn. Fans of boyband One Direction had been stunned last March when Zayn announced he was leaving his world-famous group. However, the singer’s solo career is already off to a great start as Pillowtalk, his debut single shot off to number one on the Billboard Hot 100 chart thereby beating the number two positioning of One Direction’s previous number. It seems that the new single It’s You is poised to follow the success of Pillowtalk if anything is to be assumed by the audience’s reaction to Zayn’s performs on The Tonight Show. 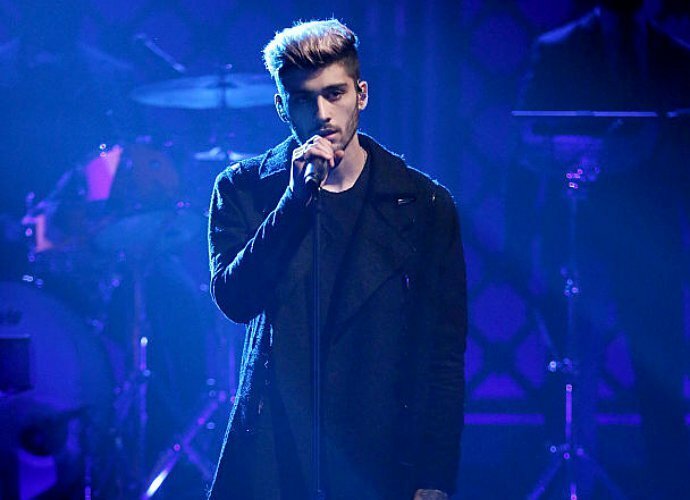 Zayn appeared on the show with pink highlighted tips in his hair and added drama with a black coat before gripping the microphone to croon out the lyrics of his latest track. After his performance, the hashtag #zainfallon began to trend worldwide quickly. Previously, Zayn had revealed that he had come up with the lyrics for It’s You after his split from Perrie Edwards, his Little Mix fiancée. During in an interview, he said that it had been a form of therapy for him. His album, Mind of Mine is scheduled for a release on 25th March, 2016, which is the anniversary of his departure from One Direction.